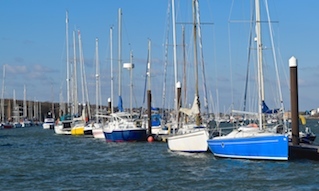 Shepards Marina has provided owners with an additional level of help and confidence with their anti-fouling applications for many years, from haul out, removal, application and handover. Our professional approach allows owners to be assured of quality and peace of mind. 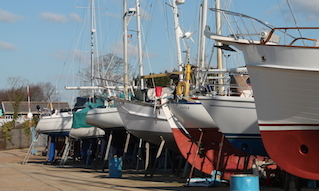 Anti-fouling is a common painting job carried out by boat owners. It is vital to protect your boat through anti-fouling, as when fouling has a hold on your hull it will rapidly colonise the surface, making it difficult to remove. Applying an anti-fouling paint will prevent the attachment of fouling organisms, such as barnacles, weeds and slime, to the hull of your boat; a fouled hull can cause serious problems, so prevention is a much better cure. The number of coats that are required depends on the type of anti-foul and general use of your vessel. If sailing/cruising under 20 knots, we would recommend an eroding anti-foul to prevent build up of layers. If cruising over 20 knots, a hard anti-foul would be more suitable, and for racing, an ultra smooth Teflon anti-foul may be the solution. With a wide range of abrasive media at our disposal and years of experience in this particular field, we can effectively remove all traces of anti-fouling and leave the surface clean and ready for the application of coatings. We can provide advice based on our experience to help to assist you with making the right choice when it comes to choosing your coatings. 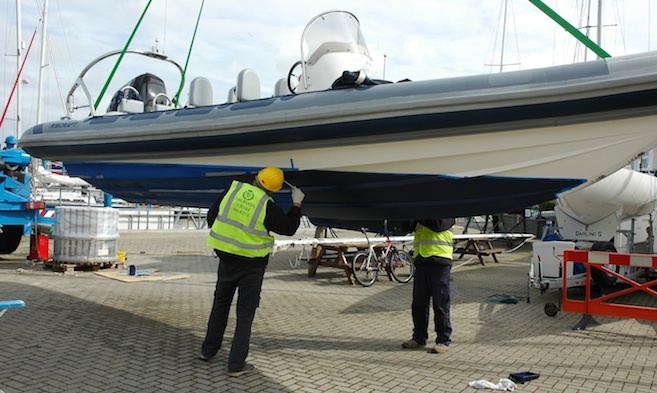 Our marina operatives can ensure that the whole process is completed in the minimum of time and to the best quality. 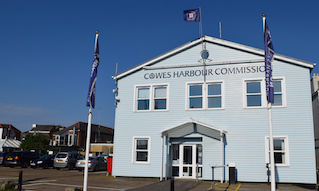 If you need any further information please call Shepards Marina on 01983 297821 or email shepards.chc@cowes.co.uk.